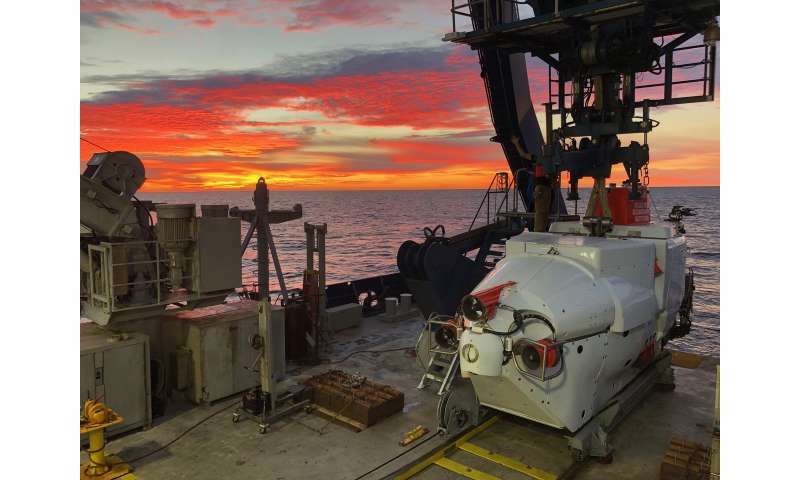 Researchers have documented extensive diversity in the microbial communities living in the extremely hot, deep-sea sediments located in the Guaymas Basin in the Gulf of California. 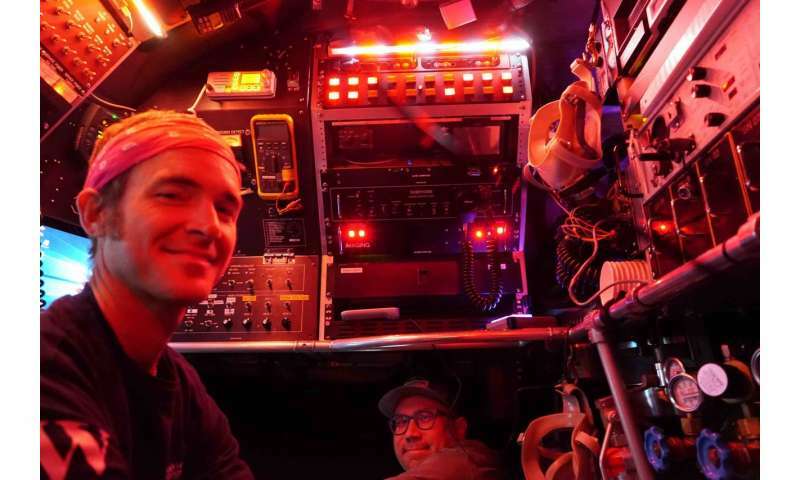 This view of the Guaymas Basin seafloor was taken through the window of the Alvin submersible by Brett Baker in November 2018. Credit: Brett Baker/University of Texas at Austin. "This shows the deep oceans contain expansive unexplored biodiversity, and microscopic organisms there are capable of degrading oil and other harmful chemicals," said assistant professor of marine science Brett Baker, the paper's primary investigator. 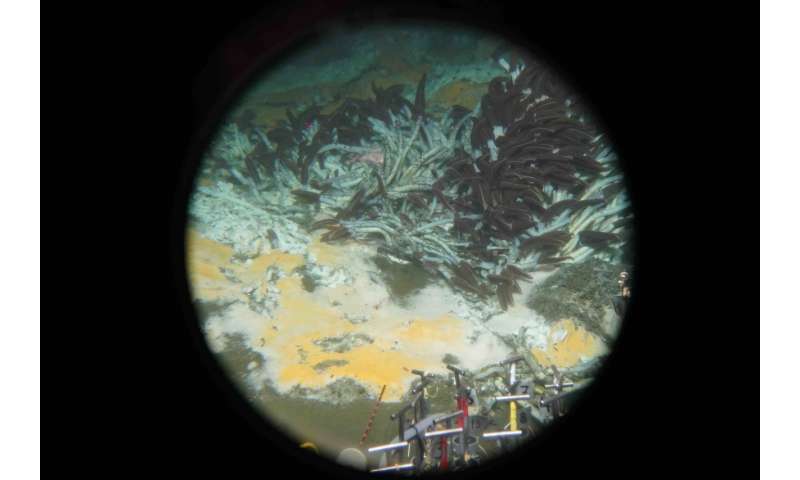 "Beneath the ocean floor huge reservoirs of hydrocarbon gases—including methane, propane, butane and others—exist now, and these microbes prevent greenhouse gases from being released into the atmosphere." The researchers' analysis of sediment from 2,000 meters below the surface, where volcanic activity raises temperatures to around 200 degrees Celsius, recovered 551 genomes, 22 of which represented new entries in the tree of life. According to Baker, these new species were genetically different enough to represent new branches in the tree of life, and some were different enough to represent entirely new phyla. "The tree of life is something that people have been trying to understand since Darwin came up with the concept over 150 years ago, and it's still this moving target at the moment," said Baker, who earlier was part of a team that mapped the most comprehensive genomic tree of life to date. "Trying to map the tree is really kind of crucial to understanding all aspects of biology. With DNA sequencing and the computer approaches that we use, we're getting closer, and things are expanding quickly." Only about 0.1 percent of the world's microbes can be cultured, which means there are thousands, maybe even millions, of microbes yet to be discovered. Baker's team investigates interactions between microbial communities and the nutrients available to them in the environment by taking samples of sediment and microbes in nature, and then extracting DNA from the samples. The researchers sequence the DNA to piece together individual genomes, the sets of genes in each organism, and infer from the data how microbes consume different nutrients. "For this, we try to look for organisms that have been studied before and look for similarities and differences," said Dombrowski, who is now at the Royal Netherlands Institute for Sea Research. "This might initially sound easy, but really is not, since often more than half of the genes we find are so far uncharacterized and unknown." "We think that this is probably just the tip of the iceberg in terms of diversity in the Guaymas Basin," Baker said. "So, we're doing a lot more DNA sequencing to try to get a handle on how much more there is. This paper is really just our first hint at what these things are and what they are doing." For now, Make Microbes that have power of Both of them. Once more of similar ones are found, keep adding the relevant features !